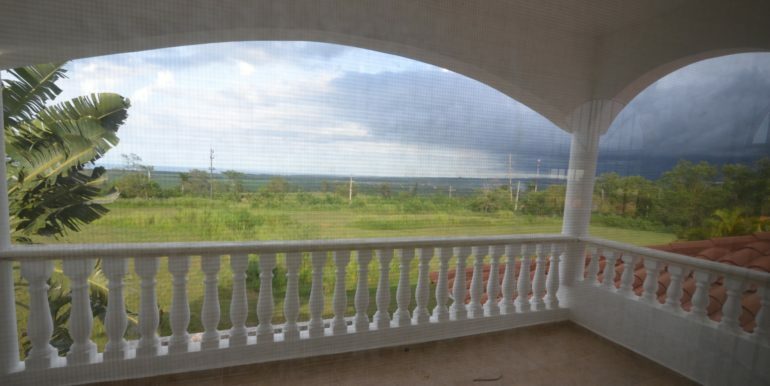 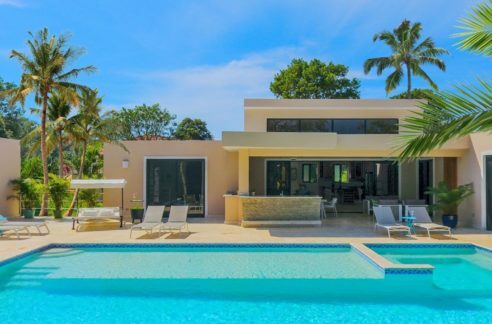 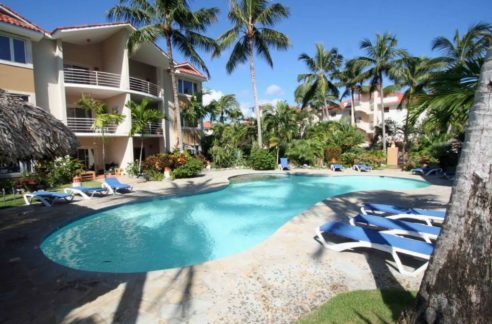 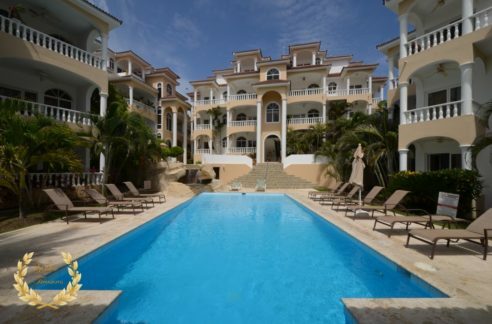 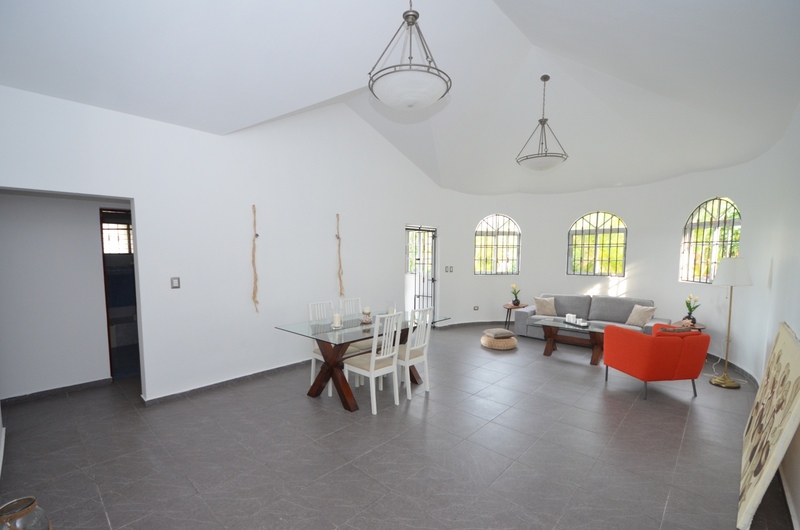 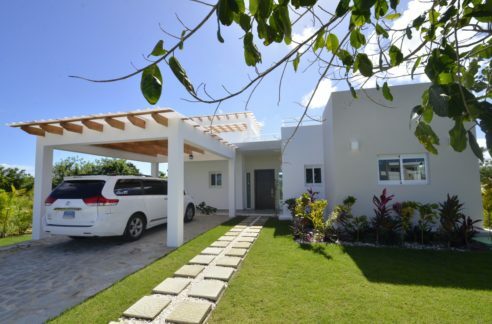 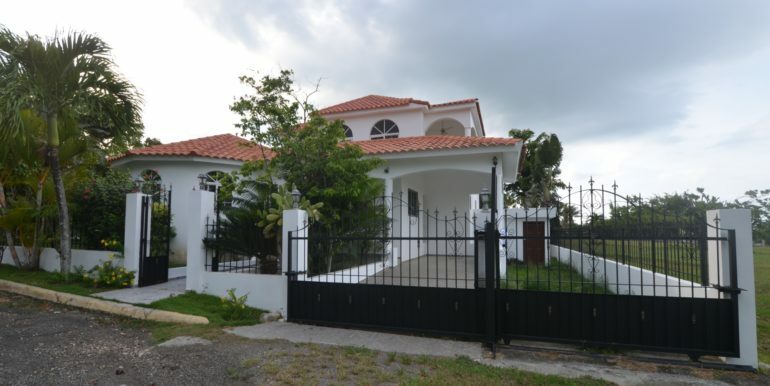 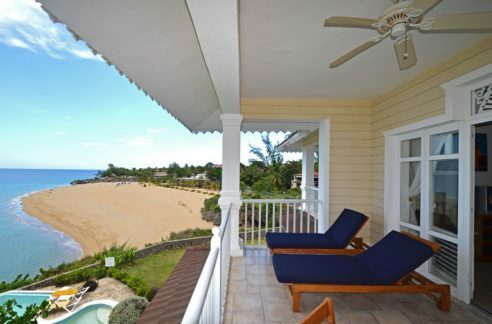 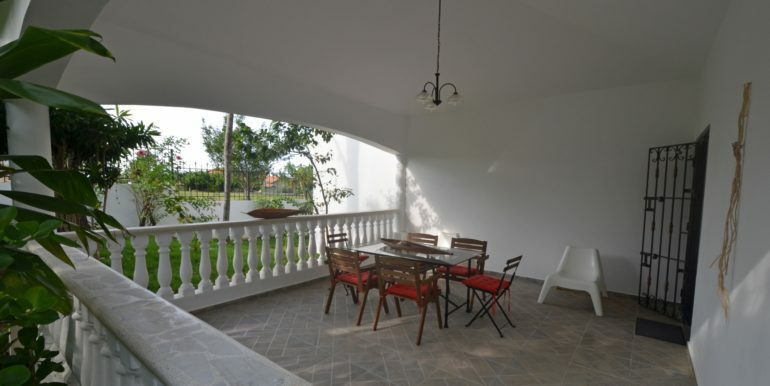 Located inside one of the top gated communities of Puerto Plata, this 4 bedroom, 3 bathroom home offers a serene environment with soothing vistas of vast green areas rimmed by the ocean blue on the horizon line. 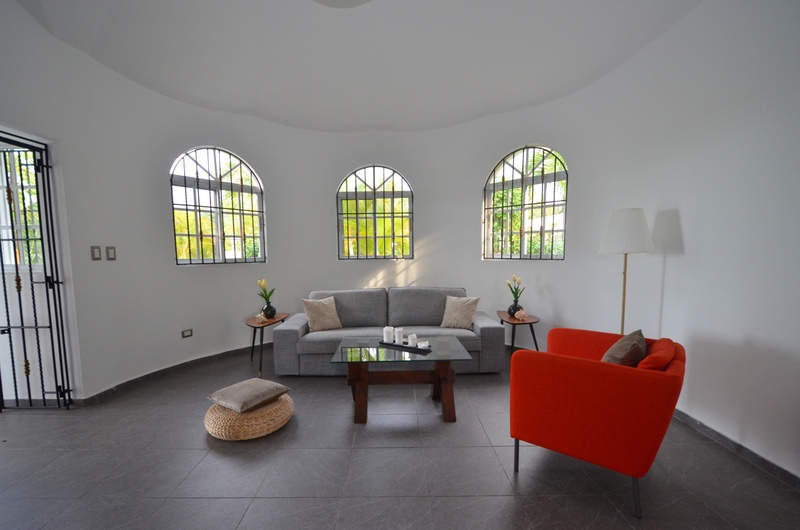 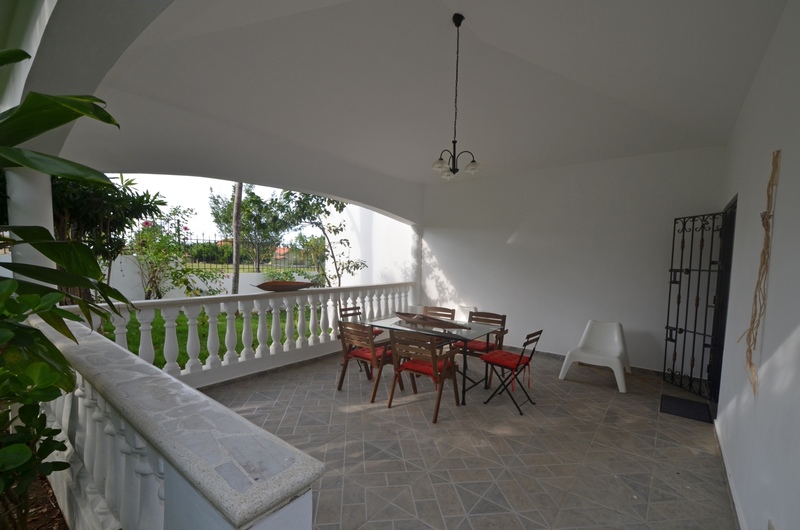 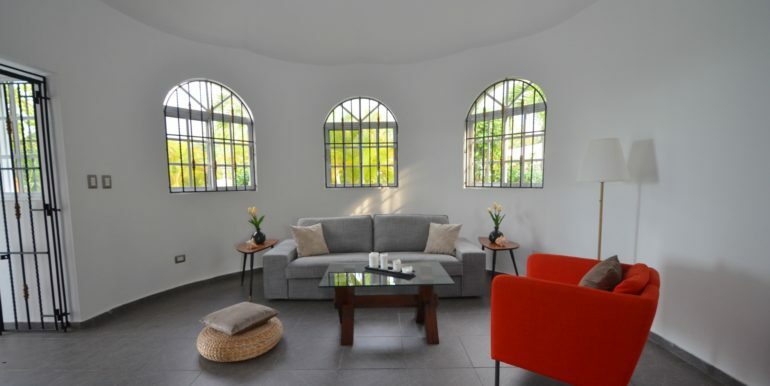 Built on 2 levels, the first one has a spacious living room that connects to the kitchen, covered terrace, garden and three bedrooms on the first floor. 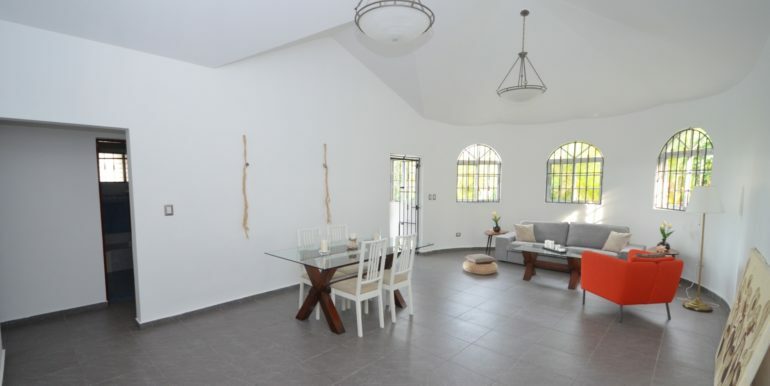 The house tall ceilings give it a sense of elegance, with a semicircular shaped front facade that allows for half-moon shaped sectional sofas on the left corner of the living room. 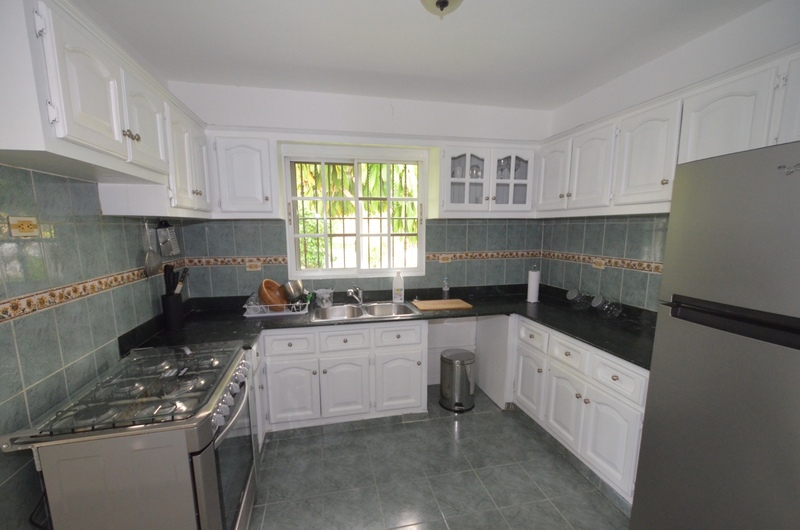 The kitchen includes granite counter tops, and mahogany white cupboards. 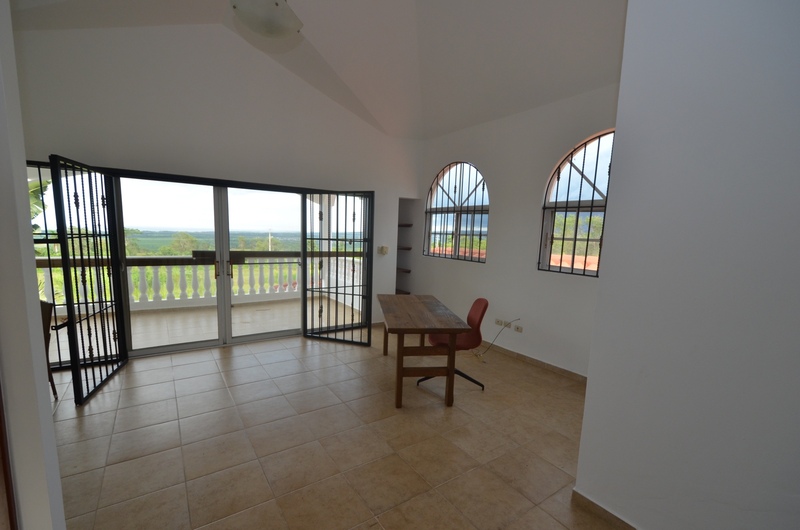 The top floor includes a bedroom with ensuite bathroom, and a parlor/office area with balcony. 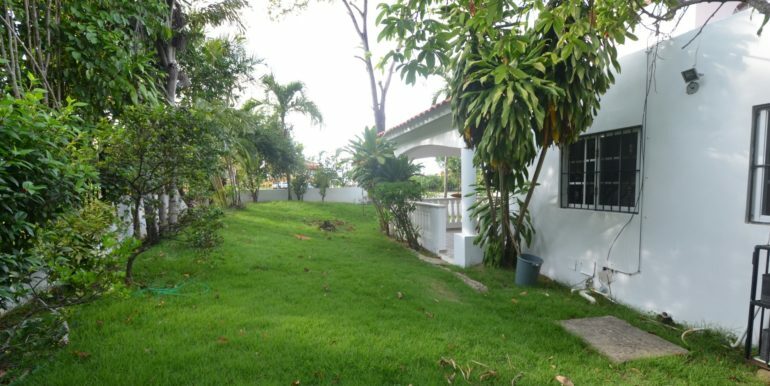 The garden areas provide plenty of space to grow plants and fruit trees, perhaps even a private pool. 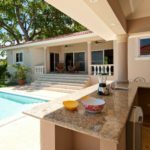 The community includes a shared pool of generous size, and a community restaurant with playground, tennis court and trampoline. 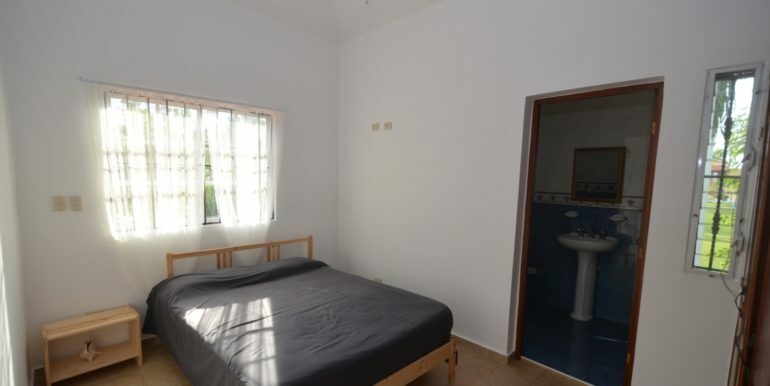 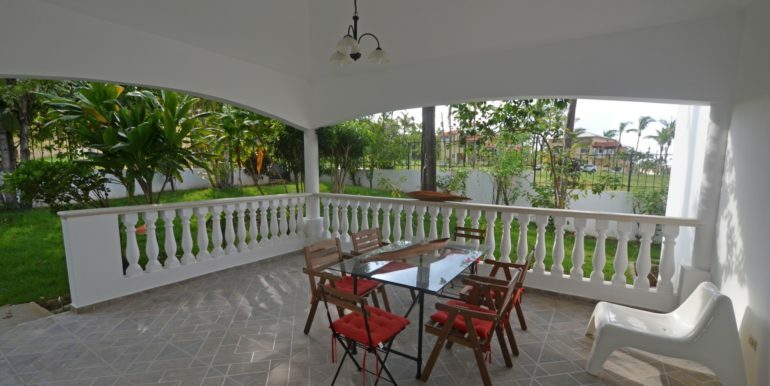 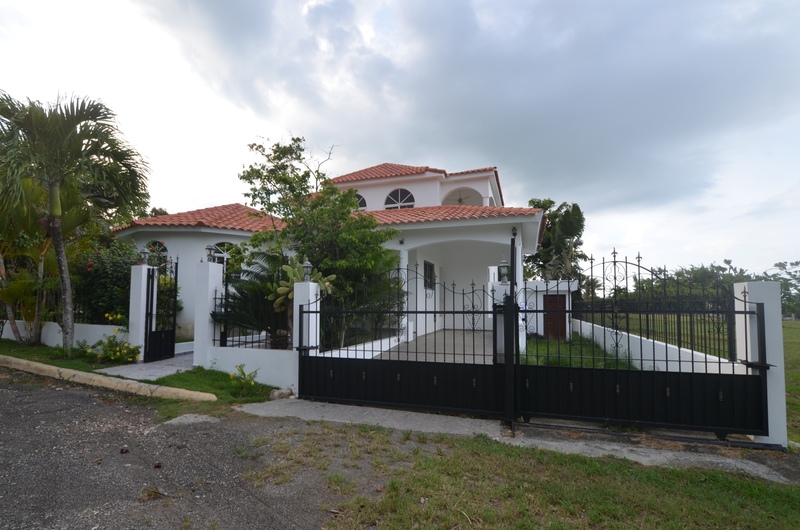 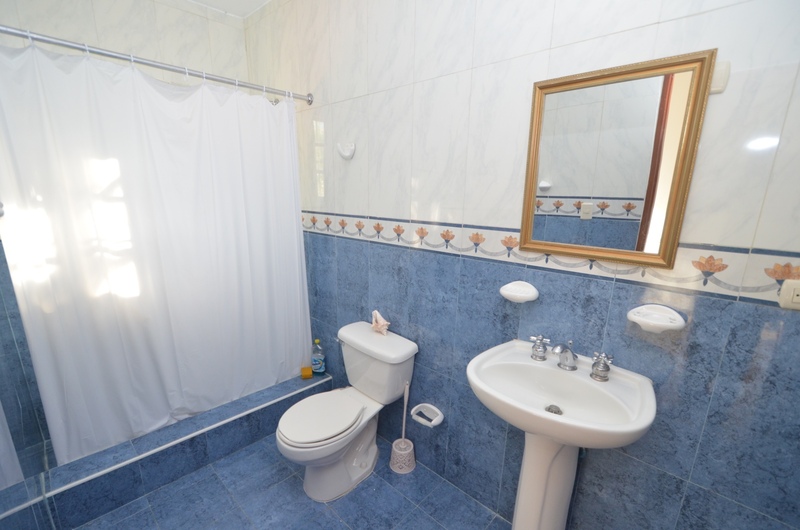 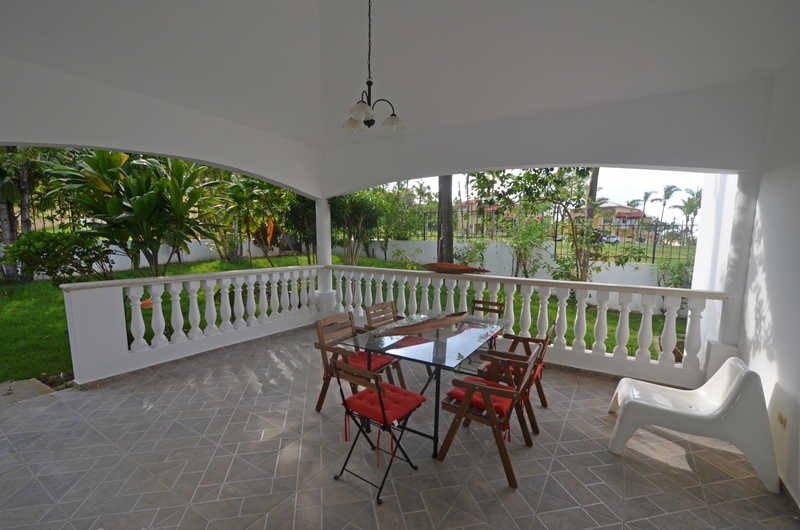 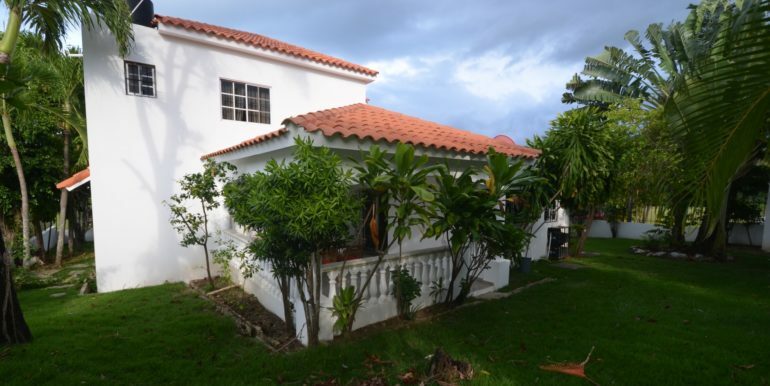 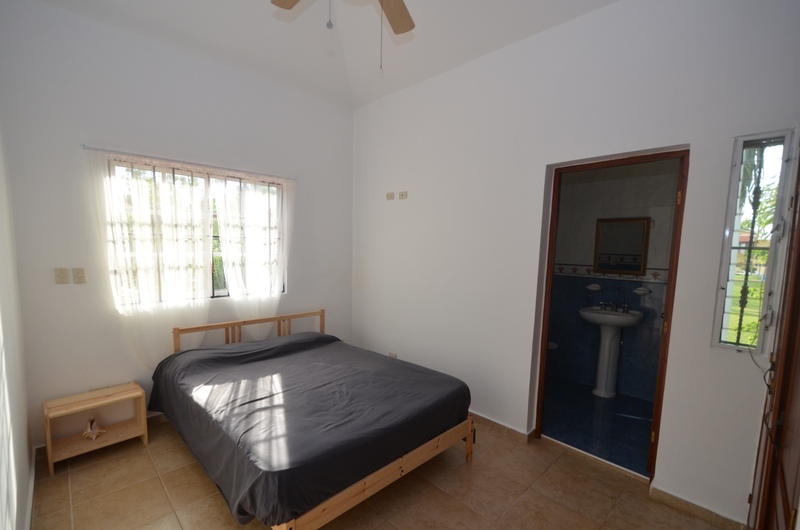 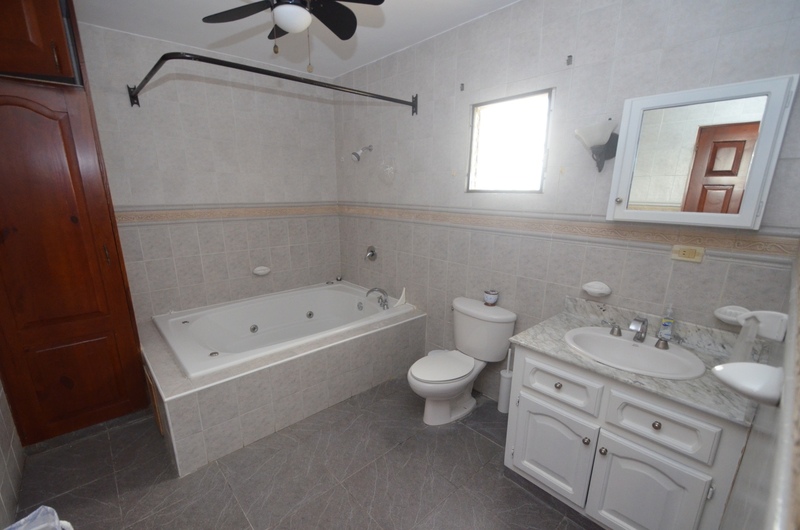 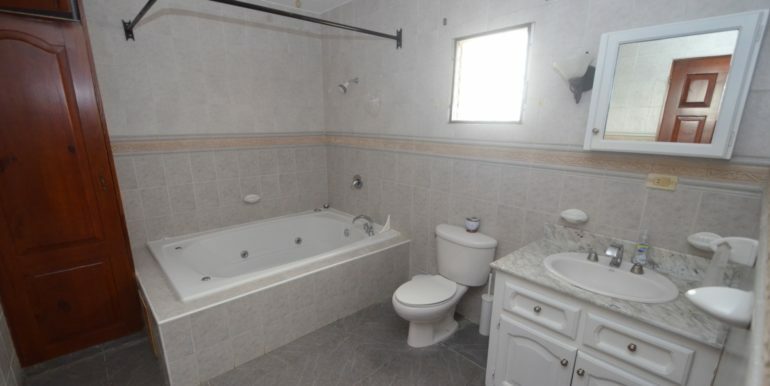 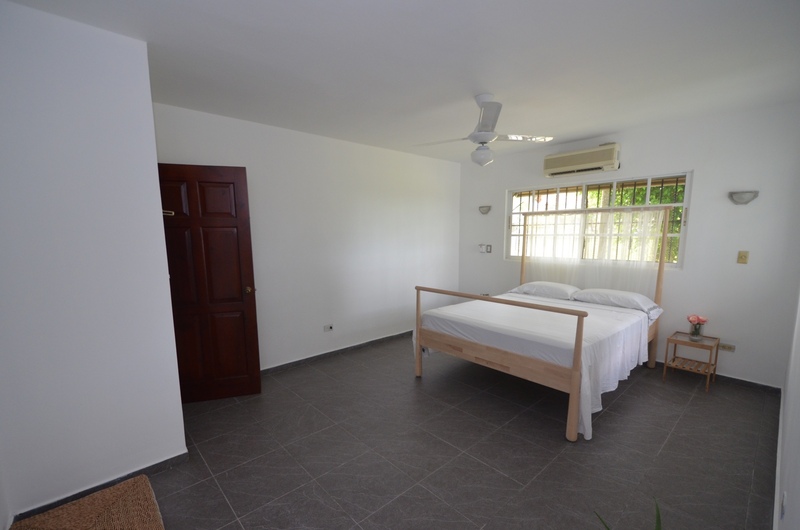 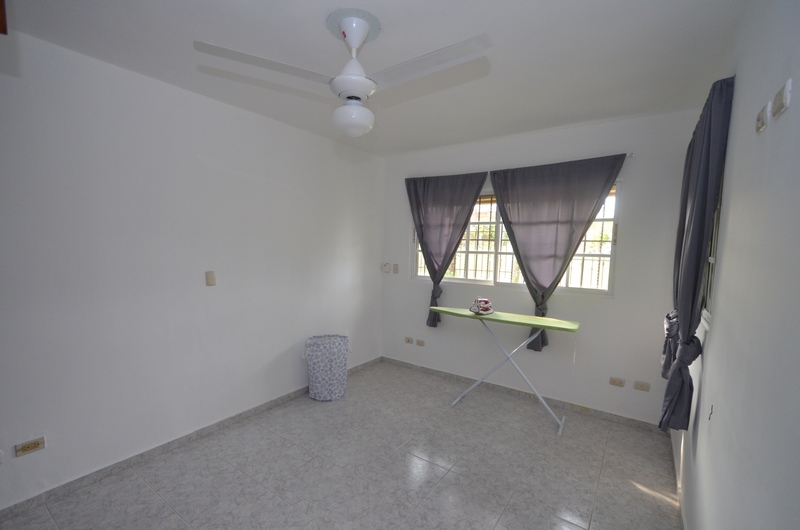 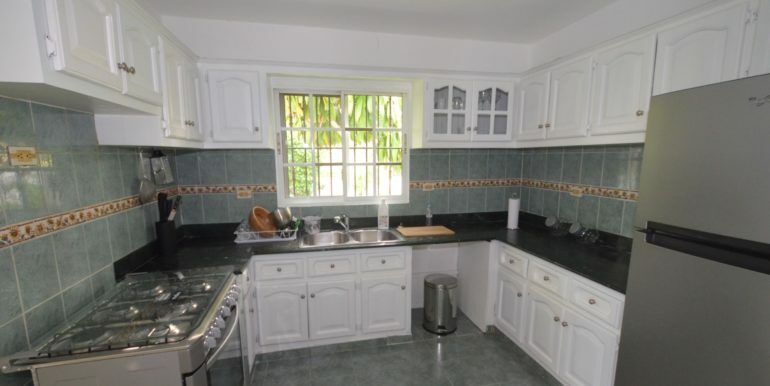 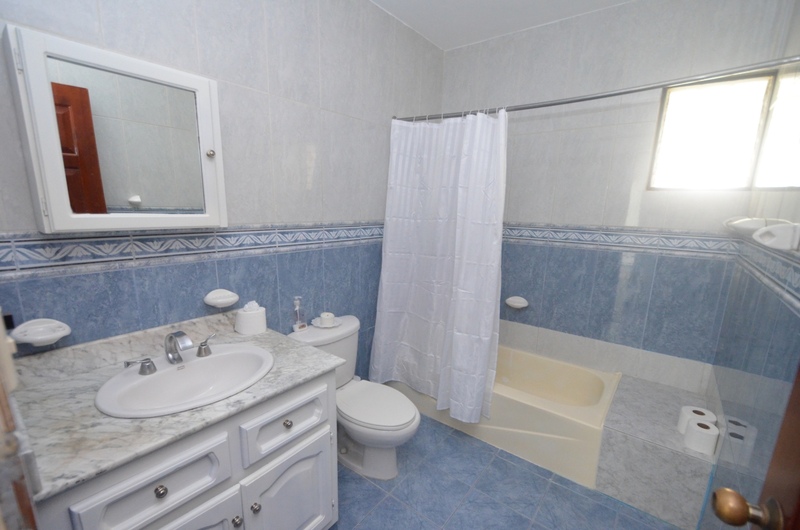 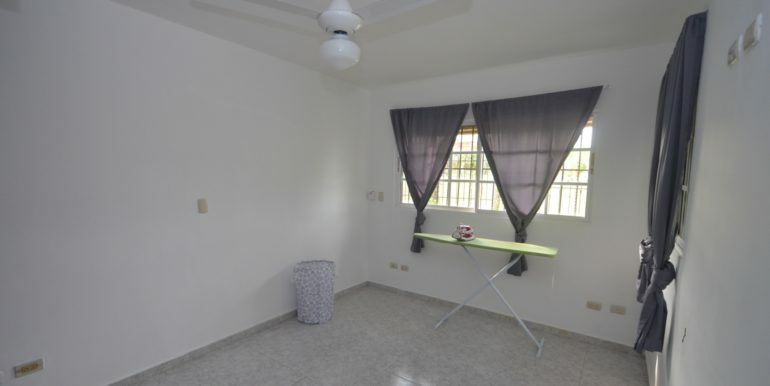 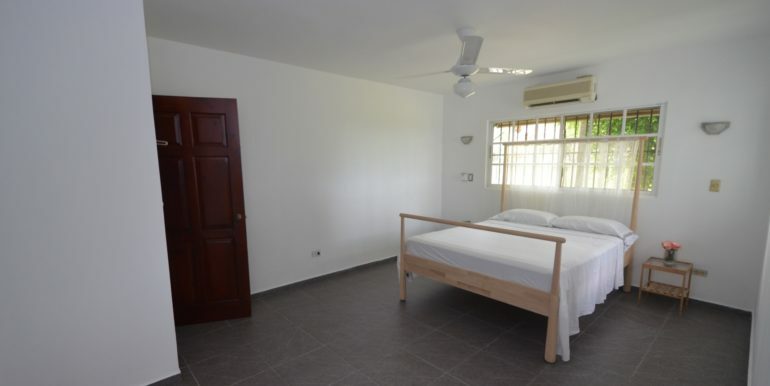 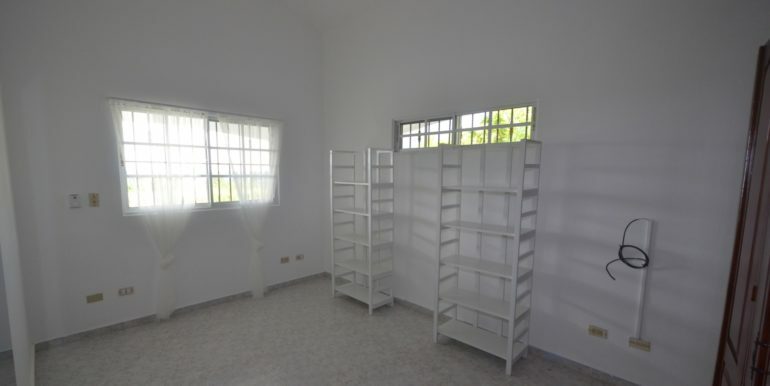 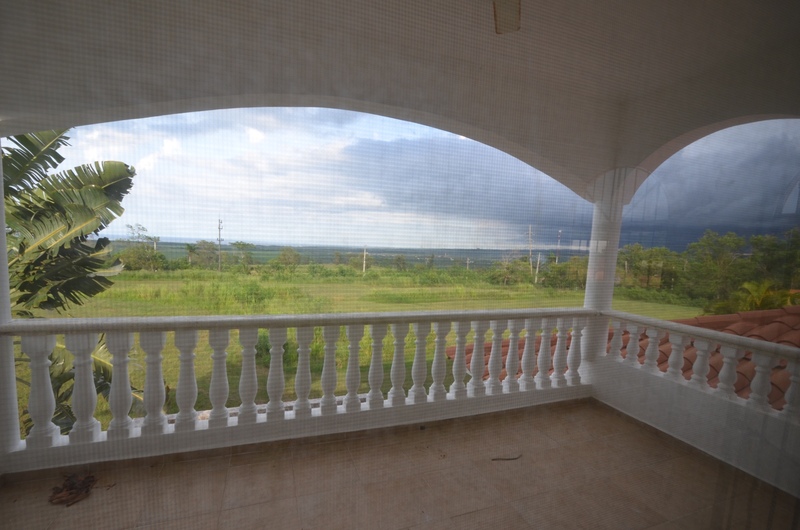 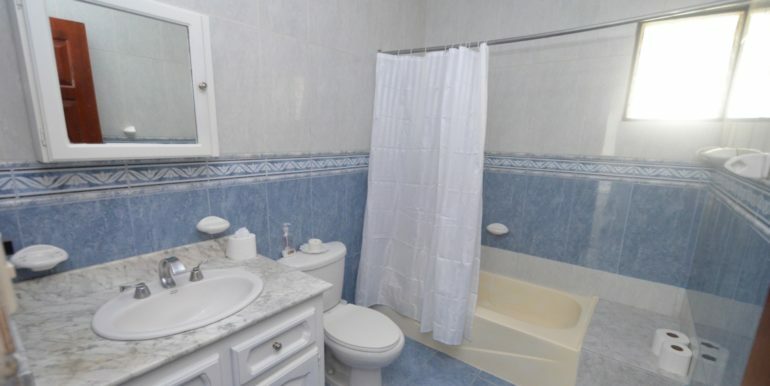 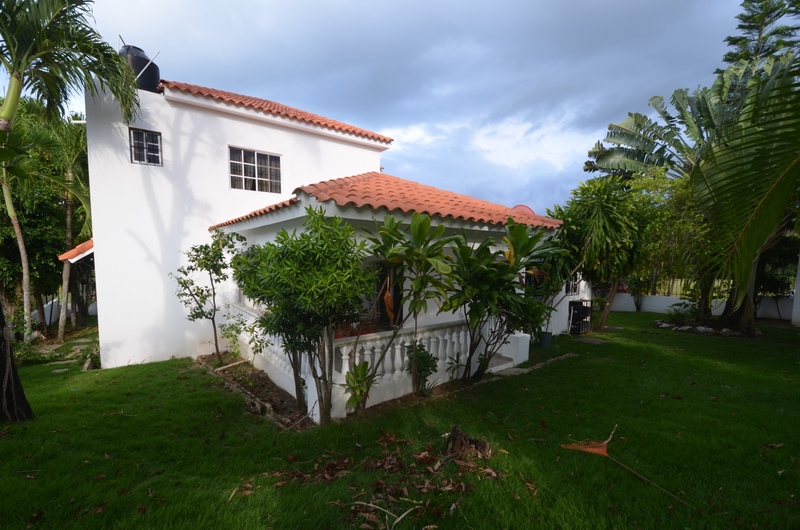 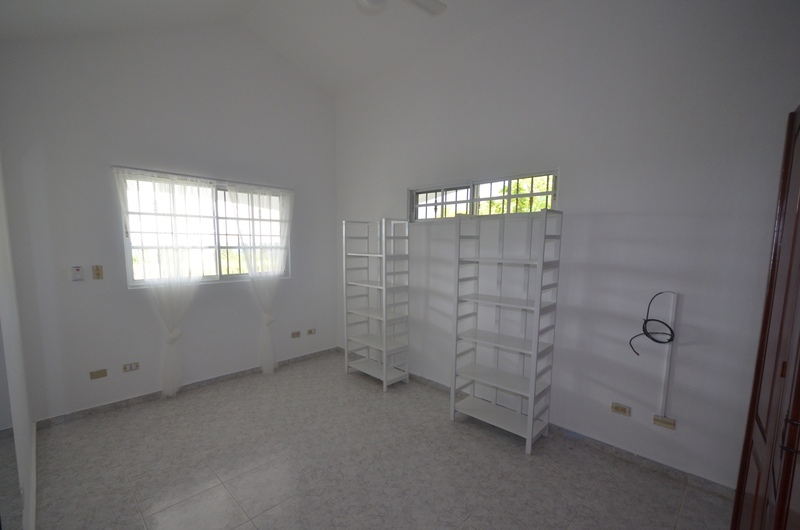 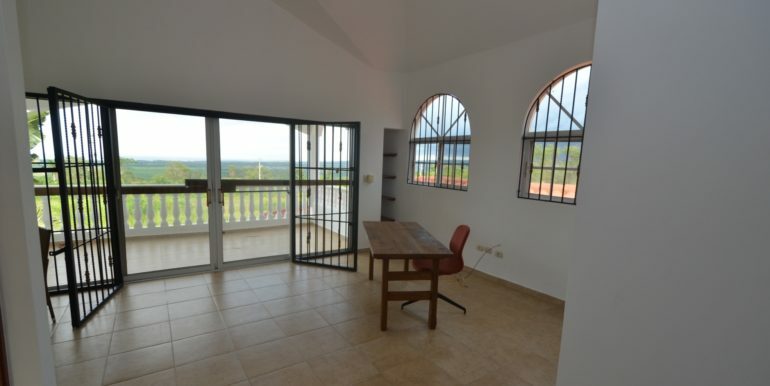 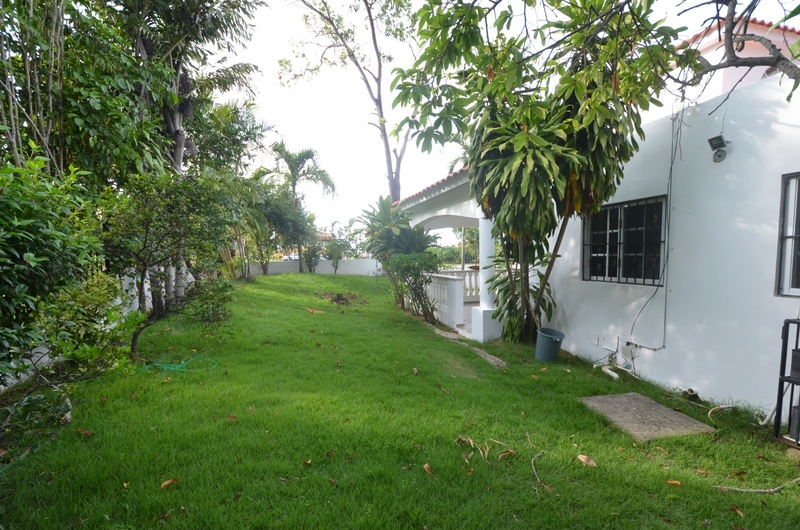 This house for sale in Puerto Plata is in excellent condition, on a cul de sac inside a great community.